My name is Stacy McMullen and I teach 1st Grade at Carrie Downie Elementary - Go Dolphins! I graduated from the University of Delaware with my degree in Elementary Education. I am currently attending Wilmington University for my masters in Applied Technology and super eager to learn more about how I can utilize technology in the classroom to support student learning! I was born and raised in Newark, Delaware where I still currently live with my husband, son Maddox, and three dogs! I love to read, play softball, and hang out with family and friends. If I am not in the classroom, I am more than likely on the softball field or doing something sports- related. My husband and I even got married on a baseball field dedicated to my grandfather - right on home plate! I absolutely love teaching and cannot imagine my life doing anything else. Students are the future! I am so honored to have the awesome opportunity to help them grow, learn, and collaborate with one another. Seeing the progress that a student makes from the beginning of the school year to the end, truly makes me smile! Kids are special people and can do amazing things! They surprise and inspire me each and every day! 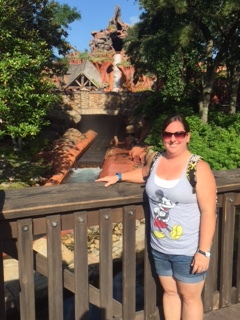 Vacation: anywhere warm and Disney! Movie: "A League of Their Own" and "Remember the Titans"
Book: I LOVE to read- but I adore Dr. Suess! Song/Singer: I love anything country!